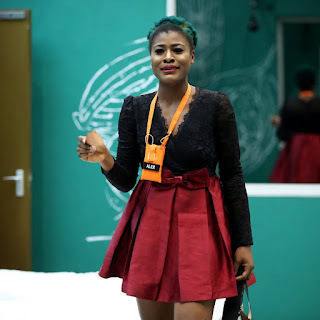 Big Brother Naija 2018 housemate, Alex has emerged as the new head of house, HoH for this week. Alex emerged after a task involving she and other housemates, Nina, Tobi, CeeC, Lolu and Miracle. Big brother had instructed the housemates to get money out of the glass box and the one with the highest becomes "HoH". At the end Alex successfully picked the highest denomination.